Disney Junior is an American digital cable and satellite television network that is owned by the Disney Channels Worldwide unit of the Disney?ABC Television Group, itself a unit of the Disney Media Networks division of The Walt Disney Company. Aimed mainly at children under 8 years of age, its programming consists of original first-run television series, theatrically-released and made-for-DVD movies and select other third-party programming. Disney Junior also lends its name to a morning and early afternoon program block seen on sister network Disney Channel, branded as "Disney Junior on Disney Channel", airing weekdays from 6:00 a.m. to 2:00 p.m. (6:00 to 10:30 a.m. during the summer months and designated school break periods) and weekends from 6:00 to 9:00 a.m. Eastern and Pacific Time. The Walt Disney Company first attempted to launch a 24-hour cable channel for preschoolers in the United States in 2001, when the company announced plans to launch the Playhouse Disney Channel, a television offshoot of Disney Channel´s daytime programming block Playhouse Disney, which debuted on the channel on May 8, 1997 (airing during the morning hours seven days a week, with the Monday through Friday blocks lasting until the early afternoon). Plans for the United States network were ultimately shelved, however dedicated Playhouse Disney Channels were launched in other countries internationally. 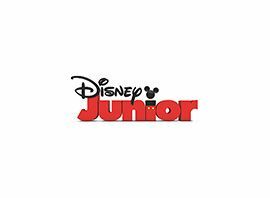 The development of Disney Junior began on May 26, 2010, when Disney-ABC Television Group announced the launch of the channel as a digital cable and satellite service, which would compete with other cable channels targeted primarily at preschool-aged children such as Nick Jr., Qubo and PBS Kids Sprout; in addition, the Playhouse Disney block on Disney Channel would also be renamed under the Disney Junior banner, prior to the launch of the channel of the same name. The announcement also called for the 22 existing programming blocks and cable channels outside of the United States bearing the Playhouse Disney name being rebranded as Disney Junior. The flagship cable channel in the United States intended to replace Soapnet, a Disney-owned cable channel featuring daytime soap operas seen on the major broadcast networks (including sister network ABC) and reruns of former primetime drama series, due to the continued decline in popularity and quantity of soap operas on broadcast television, along the growth of video on demand services (including the online streaming availability for soap operas) and digital video recorders that negated the need for a linear channel devoted to the genre. Programming on the Disney Junior channel includes original series (such as Jake and the Never Land Pirates, Doc McStuffins and Sofia the First), shows formerly seen on the now-defunct Playhouse Disney block (such as Mickey Mouse Clubhouse, Handy Manny and Special Agent Oso) ? including some that also air on the companion Disney Channel morning block and short-form series, as well as reruns of some older animated series that had previously been seen on sister network ABC, CBS (made prior to 1996) and programs from Disney Channel and Toon Disney, which are aired by the channel by popular demand (especially during the overnight graveyard slots). The network also airs classic animated films that were released theatrically by Walt Disney Studios Motion Pictures (including Walt Disney Pictures and Pixar), along with Disney´s direct-to-video sequels and original preschool projects with movie-length features, under two brandings: The Magical World of Disney Junior on weekends, and the more generalized Disney Junior Movie at most other times, which features a broader selection of films. Disney Junior Night Light ? Disney Junior Night Light is the Disney Junior channel´s overnight programming block, running daily from 9:00 p.m. to 4:00 a.m. Eastern and Pacific Time. The block, which debuted on September 4, 2012 and is sponsored by Babble (under a similar underwriter sponsorship agreement as that regularly used by Disney Channel, which, like Disney Junior, operates as a commercial-free service), consists of short-form programs intended for co-viewing among parents and their children. Features seen as part of the block include Picture This (which presents sketches of Disney characters being drawn), DJ Tales (a segment featuring costumed finger puppets with twists on traditional fairy tales) and That´s Fresh (a segment featuring cooking tips aimed at moms, presented by celebrity chef Helen Cavallo). Additional series under development at the block´s launch included a photography series, a series that follows parents through the day their new baby comes home after being born, and a show about stay-at-home dads.